Deputy Speaker Eleanor Laing, who is not allowed in her role to respond to allegations apparently went on to tell Mrs Siddiq she had ‘made women look bad’ and advised her that ‘You’re bringing down the whole of womankind’. A rather sweeping statement to say the least and a view I don’t believe the whole of womenkind shares. It’s great to see a woman holding this position but not if she behaves in this way. Listening to Mrs Siddiq on BBC Radio 4 -Woman’s Hour she spoke as part of a wider conversation around modernising the chamber to include maternity/paternity reform (MP’s on maternity/paternity leave are marked as “absent” without reference to their specific situation) and whether MP’s should be able to vote from home to allow them to remain a part of the process whilst they are a new mother or attending to other duties of care. She confirmed she had apologised and left because she “didn’t give it much thought”, was genuinely hungry and not because she was pregnant or a woman. As someone unfamiliar with day-to-day parliamentary process the incident seems to highlight two things. How sadly stereotypical of a women working in a man’s world, Mrs Laing and her comments appear to be. What exactly is “playing the pregnancy card”? Getting a free pass to eat? Needing a comfort break? The Government’s own report with the EHRC looked into the prevalence and nature of work related pregnancy discrimination mothers-to be face, and this seems to be such an unnecessary example of it, within the parliamentary walls. At a recent event for parents working in the City which drew on the open and honest leadership lessons and learnings from a female CEO and mother, an audience member commented that whilst trying to progress in her career “female bosses are often the worst” at upholding our dated masculine paradigm of working where basic human needs or desires are seen as weak or irrelevant. Fortunately enlightened leaders know that we are more productive when we are fulfilled and this can be as profound as becoming a parent or having the freedom to make a pit stop to Pret. Whilst I am sure Mrs Laing felt she was fulfilling her duties in maintaining convention, the way she spoke to her colleague appears to be incredibly belittleing (rather like an old fashioned father scolding a small child for leaving the dinner table without asking) and relating it to pregnancy and womankind in such a derogatory way is incredibly disappointing. It smacks of a huge lack of empathy or understanding of the potential for growth the pregnancy journey offers and seems in conflict to her backing family-friendly hours in the commons. According to Siddiq, the Speaker, John Bercow is more of a feminist. After Bercow found out Siddiq was pregnant, he said she could just wave her order paper when asking to speak. It appears that newer MP’s can wait for “hours on end” after they put in a bid to speak as senior MP’s go first. 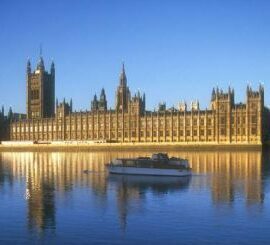 The House of Lords however operates a system where Lords are told of the order. I am sure as a newer MP there is great merit in listening to your peers but better time management and balance could be struck to ensure other areas of work can equally be addressed and our health and blood sugar levels can be maintained. Mrs Siddiq also advised that recess week is often also scheduled the week before half term so giving parents double the time to cover childcare and a decision which from the outside appears to show further discriminate against flexible or family-friendly practice. I would love our Parliament to lead by example and look forward to hearing about decisions made in the next year which I hope will ensure a far more agile working environment for the future and allow government to attract the diverse, fresh and creative talent it needs. The current Restoration and Renewal project for the Palace of Westminster offers a once in a hundred and fifty year opportunity to bring about real change. I hope someone, somewhere in parliament – Nicky Morgan? – recognises as part of the process, better education and a training program around (un) conscious bias is clearly needed. Since starting this post Eleanor Laing has been accused of ‘unconscious’ racism in how she calls speakers in the chamber by another Labour MP, Dawn Butler who has written to the Speaker, John Bercow, asking him to look into the issue. Mrs Laing’s role is undoubtedly challenging but as the Tories’ first shadow minister for women and equalities whilst the party was in opposition, this additional situation is sad to hear. Her supporters have said “She often has to chastise MPs and people get annoyed, but that has nothing to do with their colour or ethnicity or gender. If you were to accuse Eleanor of bias it would be in favour of women MPs.” Now friends of Laing are accusing Butler of being “rude” and turning her back on her but Siddiq’s view is elements of Parliament still echo Margaret Thatcher’s legacy of very masculine driven, single minded behaviour. As a women I look to other women in positions of power as examples of good practice who demonstrate leadership behaviour I admire. Looking at the women in Westminster right now it feels like there is a visible disconnect with their feminine essence, translating into a mutual lack of respect and receptive connection between them. Moving forward I hope that rather than attack each other they choose to surrender to their natural feminine state, connect to their inner wisdom and step up to being the great ambassadors for woman they have the potential to be. And use their energy to challenge out of date masculine processes together so we can realise a more balanced environment, more women would want to be a part of.